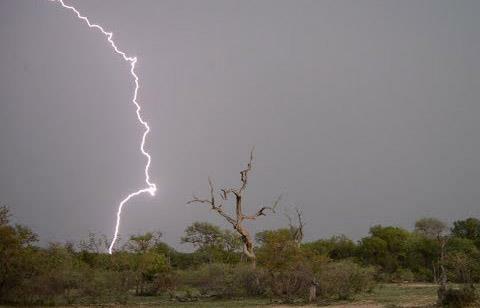 A 20-year-old resident of Oshandi village in the Ohangwena region, Filippus Josia Nghinamwami, was killed instantly and his unidentified companion was flung a few metres away when lightning struck them Sunday afternoon. 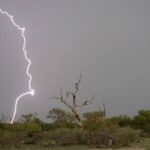 According to police spokesperson Abner Kaume Itumba, the two villagers were busy doing construction work when it started raining and they ran off to seek shelter, but lightning struck them before they reached their destination. Itumba could not identify the survivor who is said to be in stable condition. Unlike other northern regions such as Omusati and Oshana, the Ohangwena region has registered a fairly good rainfall the past days and residents are now happily ploughing their fields. Meanwhile, the police in Ohangwena have requested members of the public to assist in identifying a man whose “rotten body” was found in a shack at Engela in the Helao Nafidi town on Sunday afternoon. Itumba said that the badly decomposed body was found after neighbours alerted the police about the foul smell emanating from a shack in the location. When police officers opened the shack they found the grisly remains of the man that still has to be identified. “The body was in such bad condition that it could not even be transported to the morgue. It was decided to conduct the post-mortem on site,” said Itumba. It is suspected that the deceased is the owner of the shack, who lived elsewhere and only visited his plot occasionally.